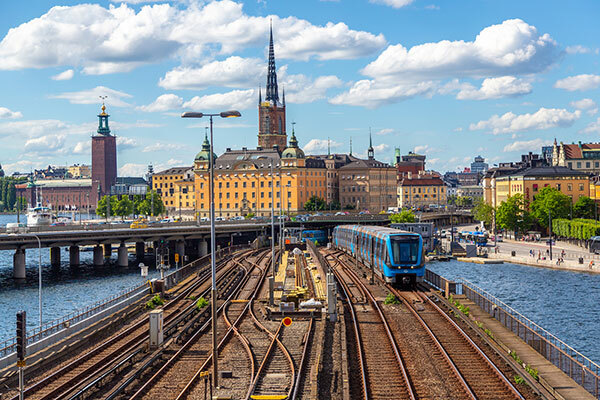 Sweden is a global leader in building a low-carbon economy, with the lowest share of fossil fuels in its primary energy supply among all International Energy Agency (IEA) member countries, and the second-lowest carbon-intensive economy. The government has also introduced several new policies including a bonus/penalty system to support new low-emission vehicles and measures to increase the use of biofuels. However, Sweden is not yet on a trajectory towards its 2030 target, and the IEA recommends that the government closely monitors developments, and strengthens policy measures as needed. The electricity system is another important element in Sweden’s energy transition. Sweden has largely decarbonised its electricity generation through investments in nuclear power, hydropower, and most recently, other renewables. This is an important achievement that needs to be sustained. Sweden has not taken a formal position against the construction of new nuclear plants and most existing nuclear power plants are expected to run for the next several decades before being phased out. That said, there is little interest to invest in new reactors in the current market. Meanwhile, Sweden has set an ambitious target of achieving 100 per cent renewable electricity generation by 2040. The IEA recommends the government carefully assess how to reach that target and what the implications will be for grid stability and security of supply. One key factor for maintaining a secure electricity supply is the regional power market. Sweden is well-connected with its Nordic and Baltic neighbours and has become a large net exporter of electricity. As the share of wind power continues to increase, supported by green electricity certificates, regional trade becomes even more important.